Concerns have been raised about traffic management measures and environmental impact. T in the Park bosses have been ordered to provide more details on their plans for the music festival at its proposed new venue in Perthshire. The demand from Perth and Kinross Council will trigger a further public consultation period and could slow the decision-making process for the event at Strathallan Castle. Key concerns include traffic management and the impact on wildlife. It follows similar concerns raised by Police Scotland, Gleneagles Hotel, local politicians and local residents about the traffic managements measures. 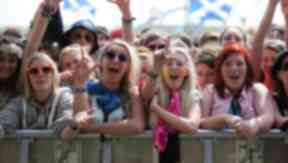 Organisers DF Concerts currently do not have planning permission to stage the huge event in July. Tickets went on sale on at the beginning of December. A 28-day period of public consultation on the planning application submitted by DF Concerts ended on February 24, however a second consultation period is now set to take place. DF Concerts has said it will provide more detailed information within a week. Organisers have also been asked to provide details on how they will protect wildlife such as red squirrels, ospreys, bats and otters during the festival, which is attended by 85,000 revellers per day each year. A statement from Perth and Kinross Council says: "Perth and Kinross Council is currently considering the content of the submitted consultation responses and letters of representation. "We can confirm that we will be requesting further information from the applicant, DF Concerts, to address issues raised by the consultation. "Once this information is submitted to us by DF Concerts, there will be a further 28-day period of public consultation and advertisement to allow comments to be made on this additional information." A letter from Police Scotland to the DF Concerts says that "at present there continues to be insufficient information in order to form a definitive view on the overall suitability of the roads surrounding the venue in terms of their capacity to cope". It adds: "In that context there remains a risk that without an effective traffic management plan being in place, the roads in the vicinity of the venue may not be suitable to manage the significant increase in traffic anticipated for the purpose of an annual music festival." The statutory timescale for considering and determining a major planning application is four months. A decision on the planning application cannot be made by Perth and Kinross until May at the earliest. A spokeswoman for DF Concerts said: "Thank you to everyone that has taken time to read the planning application and to those that submitted representations to Perth & Kinross Council. "We have read and considered everything in full, from local resident comments to statutory consultees and additional information will be lodged next week. "We welcome the extension of the consultation period to ensure there is further clarification in certain areas." More than 500 community groups, residents and public bodies have already lodged responses to the planning application reflecting mixed views within in the local community. Crieff Hydro, which sits within miles of the proposed site, has backed the planning application. 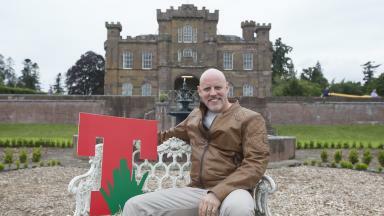 Stephen Leckie, chief executive of hotel, said he believes the benefits of holding the event at Strathallan Castle estate outweigh any negatives local people may experience. Mr Leckie, who is also chair of the Scottish Tourism Alliance, praised DF Concerts for taking local concerns seriously. In 2014 T in the Park generated almost £16m for the Scottish economy and £2.7m for the local economy.